Disney released some offers for guests who are looking to stay in Disney World this summer. There are a few different offers that guests can choose from when traveling this summer. 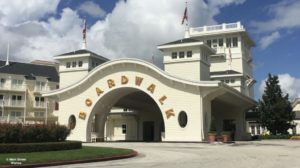 Disney usually releases offers for this time, but keep in mind that the number of rooms available for discounts is limited and not all room types and resorts are included in the discount offers. The different offers are The Incredible Summer Room Offer, the Family Summer Package Offer, and the Incredibly Delicious Kid-Size Offer. Each offer comes with different discounts/benefits. Cabins at Copper Creek Villas and Cabins at Wilderness Lodge, The Little Mermaid Standard Rooms at Disney’s Art of Animation Resort, and Bungalows at Disney’s Polynesian Villas & Bungalows. This offer is a variation of the Incredible Summer Room Offer, but is a package so it includes tickets. However, the same room exclusions will apply. With this offer, guests can get a free dining plan for their kids (ages 3-9). Must buy a non-discounted 3-night, 3-day Magic Your Way package for you and the kid(s) at a select Disney Resort hotel, theme park tickets, and a dining plan. All three dining plans are eligible for this offer, but everyone on the reservation must be on the same dining plan. If you are planning to stay longer than three nights, check to see if there is availability of packages for longer stays and/or bigger party sizes. If you would like help booking and planning your summer vacation to Disney World, contact me or any other travel agent at Dream Makers Travel Agency today! Dream Makers Travel Agency is an Authorized Disney Vacation Planner and their travel agents specialize in creating magical Disney vacations! Are you planning to visit Disney World this summer?